The first alleged image of this upcoming wearable was leaked by Evan Blass yesterday and is possible to see it unveiled later today, next to a few other Android Wear 2.0 devices by other brands. The first Android Wear smartwatch by ZTE has been mentioned in a few rumors so far, but this week its first alleged image surfaced online. VentureBeat's Evan Blass leaked the image, but without any technical details. 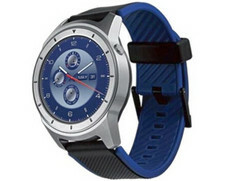 However, a ZTE smartwatch with model number ZW10 has recently received its Bluetooth certification, so this wearable might become available sooner than expected. 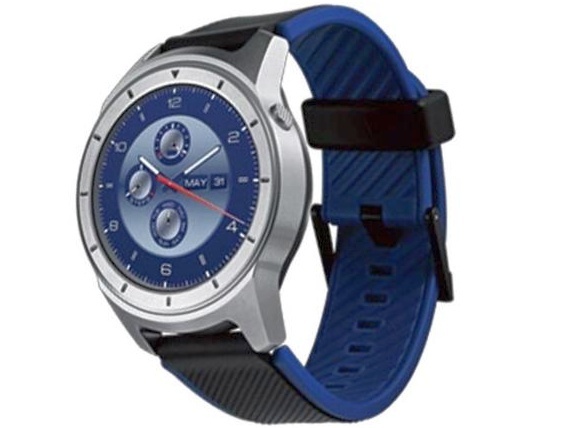 While the promotional materials that Evan Blass gained access to are not final yet and lack most details, the Bluetooth SIG entry reveals that the round-faced ZTE Quartz offers UMTS 3G cellular connectivity, as well as WiFi. Since it comes with 3G support, this smartwatch could allow its users to make and receive calls on-wrist. Back in 2016, ZTE unveiled the Venus 1 and Venus 2 activity trackers at the Mobile World Congress gathering in Barcelona. This year's edition starts at the end of the month, offering a good opportunity for the company to unveil its first smartwatch. On the other hand, we might at least see a preview later today or tomorrow, during the Android Wear 2.0 launch event that has not been confirmed by Google yet.